The past few months have highlighted the impacts that extreme events can have on people’s lives and livelihoods. 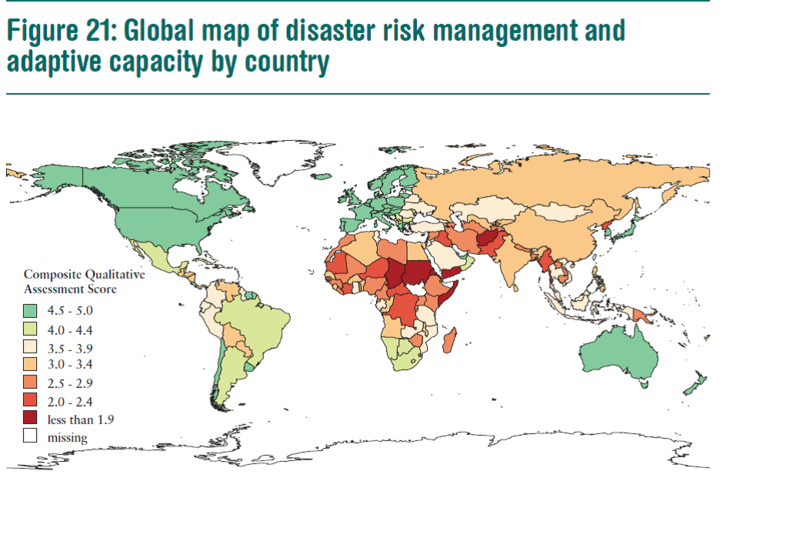 Ranging from floods in England, storms in Wales, hurricane Haiyan’s devastating effects in the Philippines to extreme heat in Australia, we have seen striking examples of cases where large numbers of people are exposed to natural hazards with which they are poorly equipped to deal. Whether or not these events can be attributed to anthropogenic climate change, they highlight a few points about how vulnerable people are to natural events when those events occur on a scale and at a level of intensity that current systems cannot cope with. It is striking to observe how when infrastructure such as roads and electricity fail, people everywhere suffer a great deal, and the very young, the weak, the elderly and the chronically ill, suffer more than the rest. The work for the Lancet Commission report, CLIMATE CRISIS: EMERGENCY ACTIONS TO PROTECT HUMAN HEALTH’ will focus on the potential health impacts of climate change on people. These may have often been eclipsed in many discussions by current concerns about economic growth and failing infrastructures. But health and wellbeing is our primary concern. We will review and highlight some immediate costs to people’s wellbeing that will be a consequence of climate change. We are concerned with people’s mental and physical health, their quality of life, and sense of place and security. My own interest in this area has come about from studying the impacts of climate change on ecosystems and wild species. As for people, the same amount of climate change has very different outcomes for different ecosystems and species, and is generally related to their history (what they have experienced in the past), their biology (their life history and habits) and their geography. Certain kinds of species which have very low tolerances for environmental variability, poor dispersal capability or adaptive potential will be much more vulnerable to even modest changes to climate variables than those that are less sensitive and more resilient. We have mapped out areas of the world where the most vulnerable species are expected to be exposed to the most extreme changes (http://www.plosone.org/article/info%3Adoi%2F10.1371%2Fjournal.pone.0065427). I think this work has relevance to people in a couple of different ways. First, it is likely that the areas where there are sensitive ecosystems and species will also be areas where people may be most at risk because the world’s ecosystems are central to supporting people’s basic needs for a good life; for example, food, freshwater, protection from hazards and diseases. Secondly, a recent history of coping with extreme events prepares both ecosystems and people better, and geography is an important determinant of both environmental extremes and basic resources. Considering extreme events and their impacts on people, it is very difficult to develop resilience to events when they occur at low frequency and when there is little personal experience or community history of dealing with them. By definition, extreme events are rare; perhaps one in a hundred years or more is what is expected on average. But given the local variability of weather and storm patterns, and the fact that we measure many different events, something unusual will be happening somewhere most of the time. In addition to that, recent increases in population numbers, in wealth and mobility means that people are moving to new areas more often, and they often choose to live near water or on coasts and near the sea. These are areas most exposed to many extreme events and are already home to most of the world’s people. Space is limited and so increasingly people are building homes and living in more vulnerable areas such as river flood plains and coastal zones. Recent increases in the impacts of extreme events are mostly attributable to an increased exposure of people to hazards such as earthquakes, floods and storms, rather than to an increased frequency of such events. So, in thinking about climate change and the impacts on people it is important to separate the intensity and frequency of the events themselves from the impacts that they may have on people. Recent storm and flooding events have mostly been abrupt and violent. Such events are predicted to increase in frequency under climate change, so whatever the cause, they can show us clearly the kinds of problems that future generations will have to face. But of course, not all such events are so dramatic; there are also slow onset events that will ultimately be devastating for some people too, for example sea level rise causing coastal flooding and inundation, oceans acidulation affecting marine systems, heavier precipitation due to the greater amounts of water held by a warmer atmosphere and severe heat and periods of drought affecting food and water supplies. All of these will have direct and indirect impacts on people’s lives and affect health and wellbeing in many ways. Understanding how the climate will change, and how this will influence the frequency and severity of slow onset and extreme events is very important. We need this information to plan and prepare for what may come. But on its own this information is not enough. We also need to look at where the risks are greatest because there are large numbers people who will be exposed to the hazards, and maybe where these populations include people who are especially at risk. – extreme weather linked to climate change is increasing and will likely cause more disasters. – such disasters, especially those linked to drought, can be the most important cause of impoverishment, cancelling progress on poverty reduction. – Up to 325 million extremely poor people will be living in the 49 most hazard-prone countries in 2030, the majority in South Asia and sub-Saharan Africa. 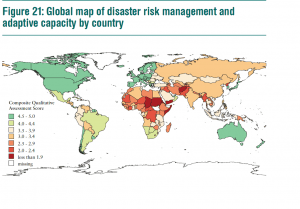 The ODI report highlights overlaps in geographical areas where poverty, climate-change related hazards and weak governance are likely to overlap, and hence areas of highest priority to consider to alleviate future suffering. We are developing this approach for the Lancet report to consider the evidence that climate change will increase extreme events, what and where these may be, who they will affect most severely, and what the options are that people will have to avoid the worst impacts.